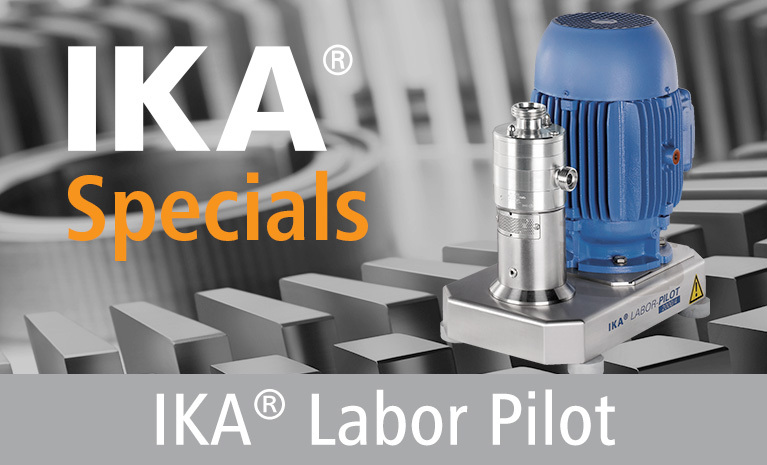 If you are looking for a supplier which not only supplies individual machines, but will also undertake the plant design, procurement and adaptation of all components as well as the construction and automation of the complex system on your behalf, IKA is the partner you can rely on! 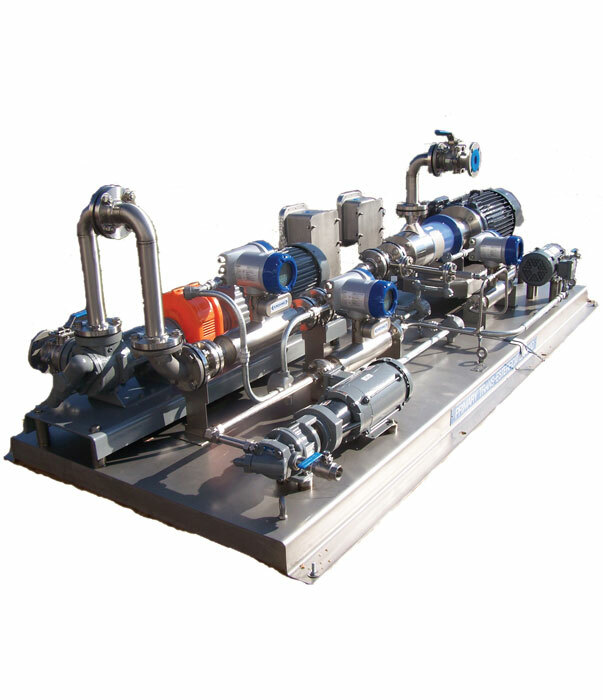 IKA offers not only standard solutions, but also individual turnkey process plants. At the center of it all is and will continue to be IKA’s proven mixing technology. In many countries across the world, polymer modified bitumen is produced in IKA PMB plants. 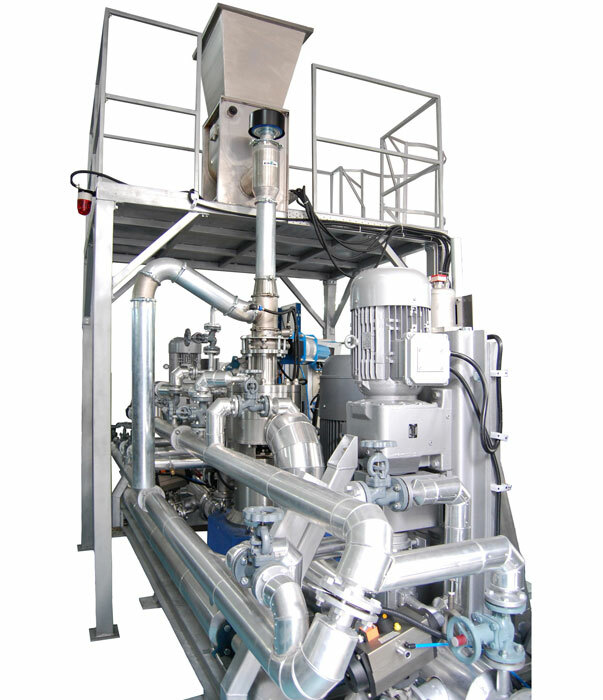 The IKA DISPAX-REACTOR® DR 2000-PB is an innovative solution to improving productivity in the bitumen industry and is successfully used in a number of customized PMB plants. The PMB plant is adapted to your individual requirements and operating processes. The supply of a complete plant for the production of polymer modified bitumen includes mixing technology, storage tanks in various sizes (up to 200 t), thermal oil systems including burners, dosage equipment, pipework as well as assembly and operating platform. The entire system is electrically controlled and supplied complete from a single source, including commissioning. In accordance with the current requirements of the pharmaceutical industry we build production plants in stainless steel or specialist materials such as Hastelloy®, with a surface quality meeting your specifications, inclusive of all necessary materials certificates. Electrical control of the plant ensures that all key process parameters and production system functions with trend lines are displayed on a touch screen monitor. On request, we can extend the control system to include formulation and procedure entry. Based on these formulations the process can then be completely automated. The control can also be linked to your network via an interface, allowing monitoring of production. In addition, IKA can undertake design, installation and operational qualification. 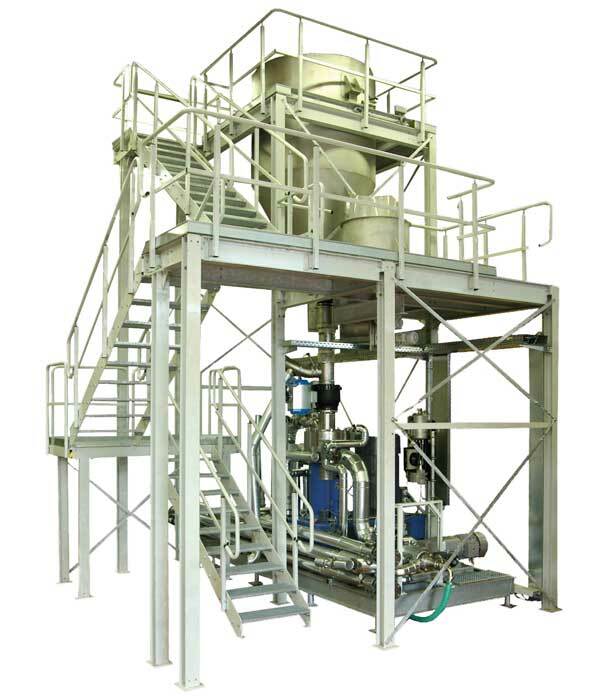 Our universal Master Plant or Standard Production Plant mixing systems are ideally suited to the manufacture of foodstuffs as well as cosmetics or chemicals in a batch process. 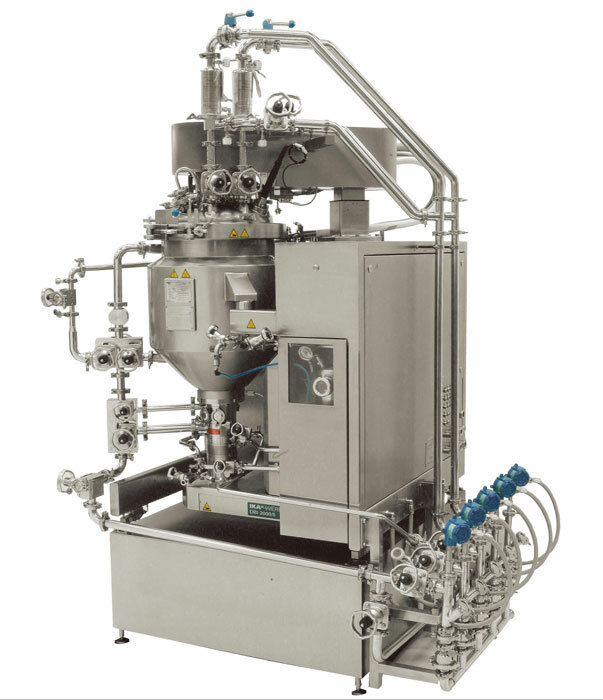 Both systems enable the introduction or aspiration of liquid and solid components without the additional creation of vacuum. The product is efficiently mixed, dispersed and homogenized by the stirrer and the integrated high performance DBI 2000 dispersion machine. After discharge of the product, the plants can be thoroughly cleaned using the circulation loop and CIP spray nozzles in the cover. At the customer’s request, we will undertake extension of IKA MP or SPP standard plants into complex production lines with storage, melting and reaction containers, conveyor systems, heating and cooling units, dosage equipment and other process-specific peripherals. All components of your plant can be operated by a dedicated process control system. All from a single supplier with a defined contact point. Talk to us about your requirements.